follow-up (Aug. 4, 2017): Galesi Group and Mohawk Harbor have opened a new chapter in their Pylon Tales. See “another sneaky pylon ploy?” (Aug. 4, 2017). 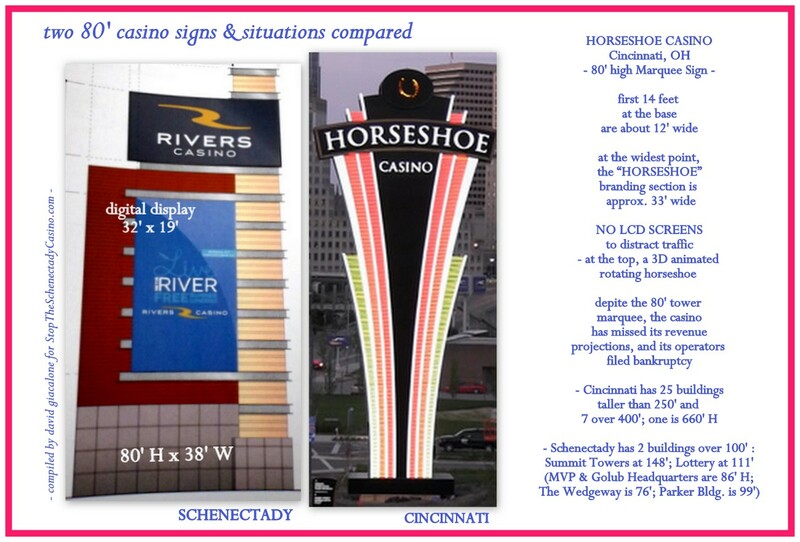 This time it’s a non-casino pylon that raises some interesting issues, despite its reduced size (34′ by 14′). Also, see “update on the proposed Mohawk Harbor pylon sign” (Aug. 11-15, 2017); and “BZA denies variance for oversized Mohawk Harbor pylon” (Oct. 4, 2017). NONETHELESS, Update: After Metroplex Chairman Ray Gillen literally begged them for “a favor”, they changed their mind at a hastily-called Special Meeting: “BZA’s pylon flip-flop – a change from 221″ wide to 220″ wide!” (Nov. 16, 2017). Click for a copy of David Giacalone’s Comments to BZA regarding the Special Meeting. our Pylon in a Poke . “beware the Zombie Pylon” (March 23, 2016). It ain’t dead yet. – “a Pylon Precis: too big, too bright, too much” (July 16, 2015): a comparatively pithy summary. 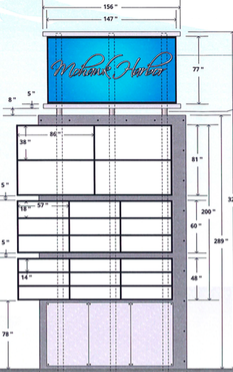 Comments submitted to the Planning Commission by David Giacalone, June 17, 2015, which stress the inappropriate height and width and the serious traffic hazard from the huge digital display. A discussion of variables for evaluating the safety of roadside CEVMS (digital variable message displays). The Casino’s 2014 Visual Resources Assessment submitted by the Mohawk Harbor applicants as part of its environmental impact assessment, concluding that the project would have no negative visual impact on the City or any historically sensitive areas. 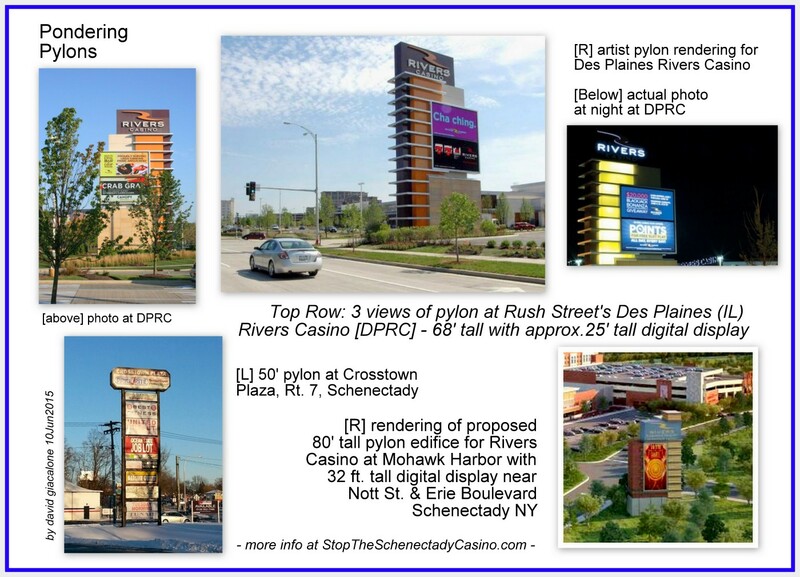 It analyzed the proposed riverbank hotel, but not the casino pylon sign. NYS Department of Environmental Conservation Visual Impact Assessment Policy (2000). Both Metroplex and the Mohawk Harbor applicant purport to follow this important policy statement in reviewing the project’s likely visual impact off-site.